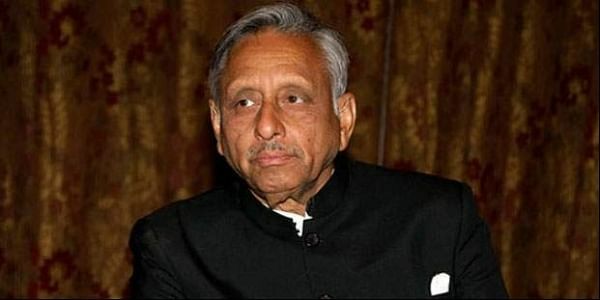 Aiyar has called Prime Minister a "neech aadmi" but apologised later when Rahul Gandhi tweeted that the Congress party does not endorse such language and expected an apology. AHMEDABAD/ NEW DELHI: Senior Congress leader Mani Shankar Aiyar’s propensity for intemperate comments raised the election heat a notch on Thursday and also invited trouble for himself when he called Prime Minister Narendra Modi a “neech kisam ka aadmi”. The Prime Minister was quick to latch on to Aiyar’s unsavoury barb on the last day of campaigning before Gujarat polls for the first phase, playing on Gujarati pride, exhorting people not to swallow the insult and declaring that “Gujarat will reply”. Late at night, the Congress suspended Aiyar from primary membership of the party and issued a show-cause notice. Congress communication chief Randeep Surjewala said the move reflected the Congress’s belief in treating opponents with respect. Modi was hitting back at a remark Aiyar made in the morning, ostensibly after Modi took a dig at the Congress for allegedly trying to appropriate BR Ambedkar’s legacy while inaugurating a convention centre named after the Dalit icon. Modi termed Aiyar’s remark an example of the Congress’s “Mughal values that teach (one) to demean castes and talk about upper and lower castes”. BJP chief Amit Shah said “yamraj, maut ka saudagar, Ravan, gandi nali ka keeda” were words or phrases the Congress had used for the PM in the past. “Not much has changed. We wish them well. We will continue to serve 125 crore Indians,” Shah said at a rally in Gujarat. Aiyar did as directed, pointing out his poor command of Hindi. “I apologise if my remark was interpreted in the sense of a low born person. I never intended to comment on the birth of the PM. I used the word “neech” to mean the low level of language that the PM has been using to attack the Congress,” he said. He had similarly stirred a hornet’s nest ahead of Modi’s victory in the 2014 elections, deriding him as a tea seller who could never be Prime Minister. “Narendra Modi will never become the Prime Minister of the country... But if he wants to distribute tea here, we will find a place for him,” Aiyar had infamously said.